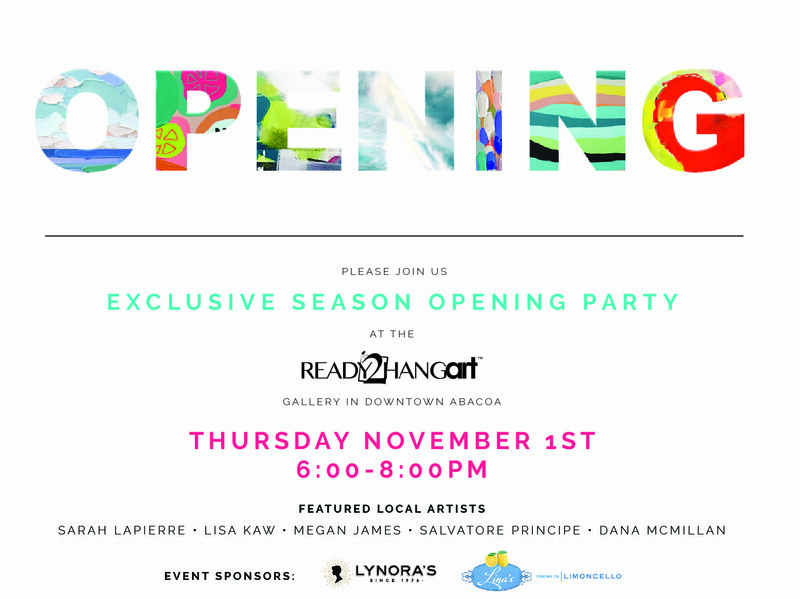 Please join us at our downtown abacoa gallery for an exclusive season opening party on November 1st. We will have light bites from Lynora's Jupiter + signature cocktail by Lina's Crema di Limoncello. Meet the artists & learn more Ready2Hang Art and our upcoming season of artist hosted events. Featured Local Artists: Sarah LaPierre Lisa Kaw Megan James Salvatore Principe Dana McMillan We hope to see you there!